Bypass graft failures have been attributed to various hemodynamic factors, including flow stasis and low shear stress. Ideally, surgeries would minimize the occurrence of these detrimental flow conditions, but surgeons cannot currently assess this. 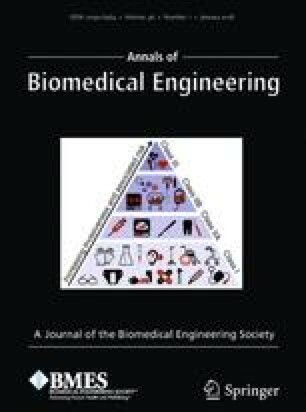 Numerical simulation techniques have been proposed as one method for predicting changes in flow distributions and patterns from surgical bypass procedures, but comparisons against experimental results are needed to assess their usefulness. Previous in vitro studies compared simulated results against experimentally obtained measurements, but they focused on peripheral arteries, which have lower Reynolds numbers than those found in the larger arteries. In this study, we compared simulation results against measurements obtained using magnetic resonance imaging (MRI) techniques for a phantom model of a stenotic vessel with a bypass graft under conditions suitable for surgical planning purposes and with inlet Reynolds numbers closer to those found in the larger arteries. Comparisons of flow rate and velocity profiles were performed at maximum and minimum flows at four locations and used simulation results that were temporally and spatially averaged, key postprocessing when comparing against phase contrast MRI measurements. The maximum error in the computed volumetric flow rates was 6% of the measured values, and excellent qualitative agreement was obtained for the through-plane velocity profiles in both magnitude and shape. The in-plane velocities also agreed reasonably well at most locations.